GoDaddy was founded in 1997 by Bob Parsons under the original name of Jomax Technologies. Today, the company is headquartered in Scottsdale, Arizona, where they offer internet domain registrar and hosting services. GoDaddy also sells business software and services. They offer more than forty business products including domains, a website builder, hosting services, professional services, marketing tools, and auctions. Every great business can certainly benefit from having an excellent website. The way to start that is by getting a domain name. You can begin the journey on GoDaddy, and a promo code from Dealhack can help you do so on a budget. If you are starting a small business, personal blog, or an online store, you’re in the right place to get the newest GoDaddy promo codes to save on your purchase. When it comes to domains, which is what they’re best known for, costs depend on what you’re looking for. For example, the price for a .com domain is currently $12.99, a .org is $8.99, .Rocks is $14.99, and .website is $9.99. With GoDaddy, your information is private, and you maintain control of it. This includes any and all emails you get to the email address associated with your domain. 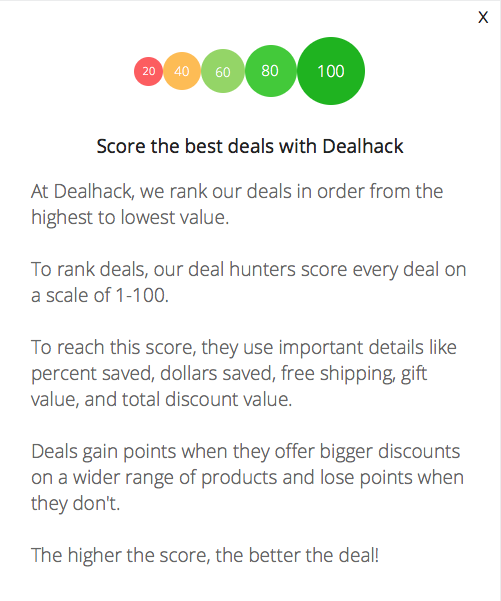 The Dealhack team works with GoDaddy to make sure all the newest domain coupons and promo codes are published here. If you have any questions, you can receive support online or one the phone by calling 1-866-938-1119. There’s also an online forum where you can ask questions and discuss products, as well as an online blog with information about domain names and service-related issues. GoDaddy also offers guaranteed renewal prices. Ready to get started on building your website? Start by picking a GoDaddy promo code and you will be redirected to their site for step-by-step instructions on where to begin. Follow GoDaddy on Facebook and Twitter or learn more by subscribing to their YouTube channel. You can contact the customer service team 24/7 by calling 1-866-938-1119. We strive to always have the best GoDaddy promo codes live on this page, but you can sometimes find additional promotions in their hot deals section. Millions of business owners trust GoDaddy. Enjoy the peace of mind knowing you are trusting your website with an industry leader. Feel good about supporting a business that gives back to communities. “GoDadddy Cares” uses corporate partnerships and donations to help nonprofit organizations that give back to the community. Check out current CEO, Blake Irving’s’ blog for inspiration and information. What is Today’s Best GoDaddy Promo Code? The best GoDaddy promo code right now is cjc2off30. This code is for '30% off new items through this link'. Copy it and enter it on the GoDaddy checkout page to use it. GoDaddy does have an online store where you can find merchandise such as hats, pens, mugs, and more. Shipping costs are determined by weight and destination and will be calculated at checkout. If you are not satisfied with your purchase, all items qualify for a 60-day return window. The items must be in their original packaging and the customer is responsible for the cost of the return shipping. GoDaddy will reimburse for the cost of return shipping if the error was their fault (e.g., wrong item shipped, or a flaw in the quality of the product).